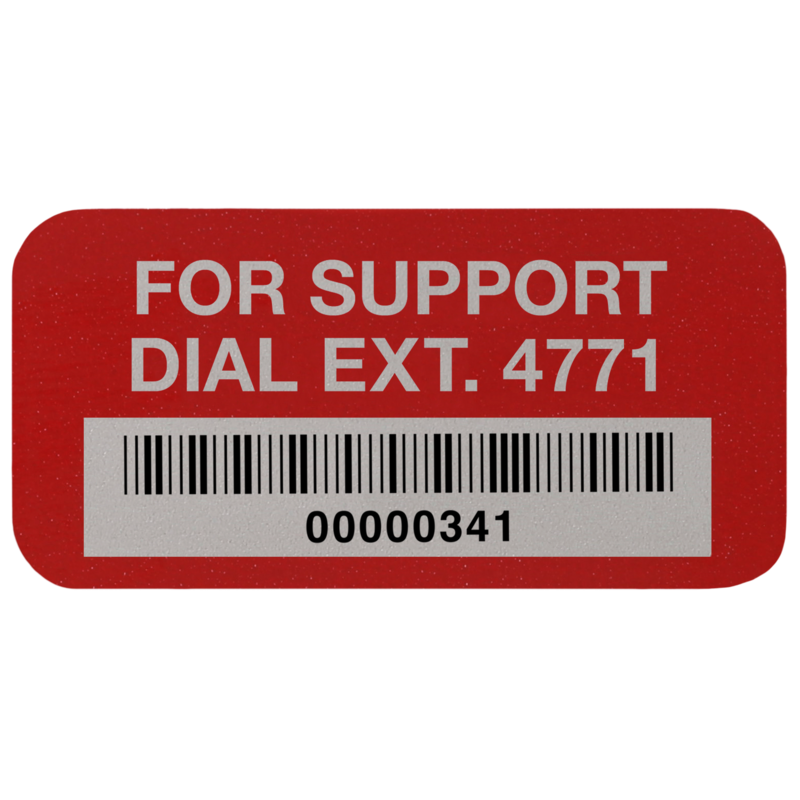 DuraGuard® Help Desk Tags have a metalized polyester topcoat to protect against wear, abrasion and solvents. The tags feature 1mm polyester overlaminate to deliver extended weathering durability, chemical resistance, wide service temperature performance, and improved UV resistance. Comes with Flexcon V-88, an all-purpose rubber based adhesive that will stick to most clean, dry surfaces. Applications - Education, IT Services, Healthcare, Distribution, and any other industries with indoor or moderate outdoor environments are perfect for DuraGuard®. 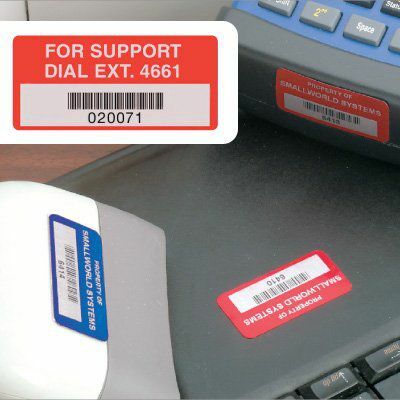 Tags are ideal for help desk/IT specific equipment, lab and school equipment, electronics, hand tools, warehouse storage, and more. Rated for moderate conditions, DuraGuard® offers a service temperature ranging from -40°F to 212°F and will withstand minimal exposure to chemicals, solvents, and inclement weather. For harsh environments or curved surfaces check out our SetonGuard® Tags. Customizable Options - Available in sizes ranging from 1-1/4"W x 1/2"H to 3"W x 2"H, six colors, and custom images for your logo. If you require a full color print please see our DuraGuard® Colorplus Asset Tags. Numbering and Bar Codes Available - Customizable tags have four numbering options: sequential, non-sequential, no numbering or custom. Bar code options are 39, 128, or Interleaved 2 of 5. Asset Tracking Software - AssetGuard Pro is a cloud-based asset management software that enables you to seamlessly add, track and manage all your assets between mobile and desktop devices. Use our free smartphone app to turn your device into a scanner.